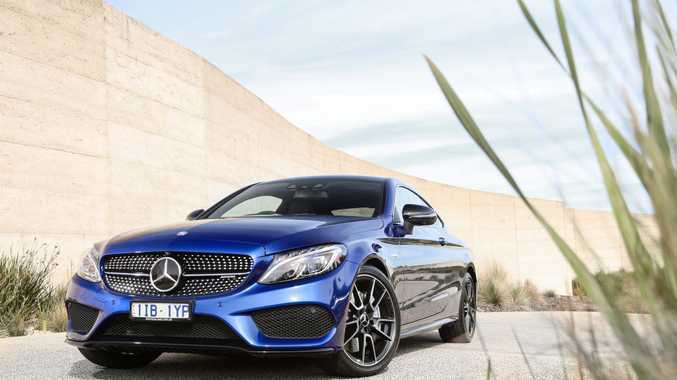 MORE AFFORDABLE: Mercedes-AMG C 43 Coupe offers 270kW and 520Nm for your $105,615, making it over $55k cheaper than its slightly quicker AMG C63 big brother. I'LL start by saying $100,000 is a lot of money for a car. I can even point you towards cheaper yet still ballistic AMG products - the sub-$80k A45 and $92k CLA45 - but there's something about Mercedes' new C43 range that looks to hit the sweet spot. A bargain? I'd fight that corner. 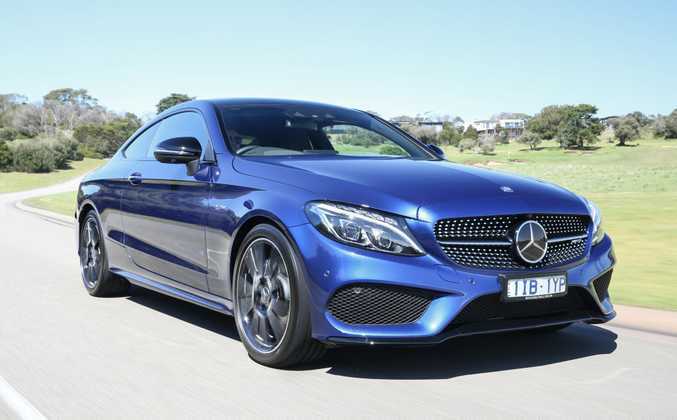 It's a full-size C-Class for one, boasts incredible "go fast" technology, luxury kit, all-wheel-drive, nine-speed gearbox and a twin-turbocharged 3.0-litre V6 good for 270kW and 520Nm. The elephant in the room? Its big brother C63 S with biturbo 4.0-litre V8 delivering 375kW and 700Nm through just the rear wheels. This is the true hero C-Class earning maximum pub bragging rights, but if your track aspirations or ego aren't up in the clouds, there's a strong case for saving yourself over $50,000 by scratching your AMG performance itch in a C43. The C63 S, you see, starts from $155,615 before on-roads. Three C43s are available. A Sedan kicks things off for $101,900, there's the Estate (wagon) for $104,400 and a Coupe for $105,615. This makes them obvious rivals to Audi's S models and BMW's M Performance cars - a rung down from the RS and full "M" models from its German rivals, but really, enough punch for the vast majority of fast car buyers. After all, the C43 Coupe I had a brief test in hits 100kmh in just 4.7-seconds. That was supercar territory a generation ago, and if you don't think sub five-seconds to 100kmh is fast you've spent too long in your Bugatti Veyron. Sadly I can't report on a favourite Victorian High Country back road blast rounded off with a full afternoon track session at Phillip Island in the C43. 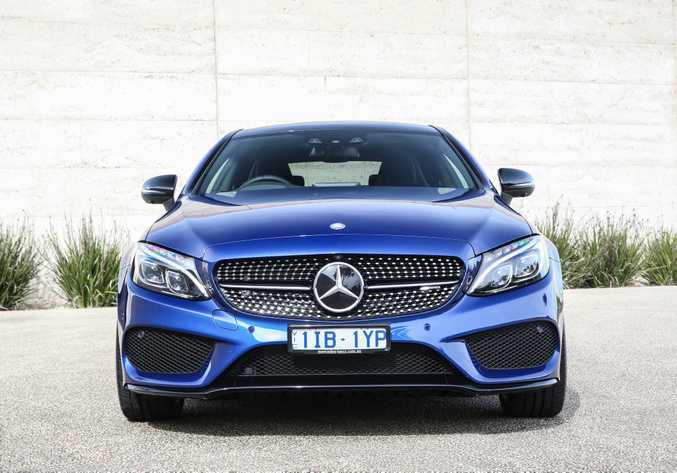 My short squirt saw me spend the bulk of my journey in Melbourne CBD traffic, arguably where a decent share of these AMGs will frustratingly spend their days. So what can I tell you? 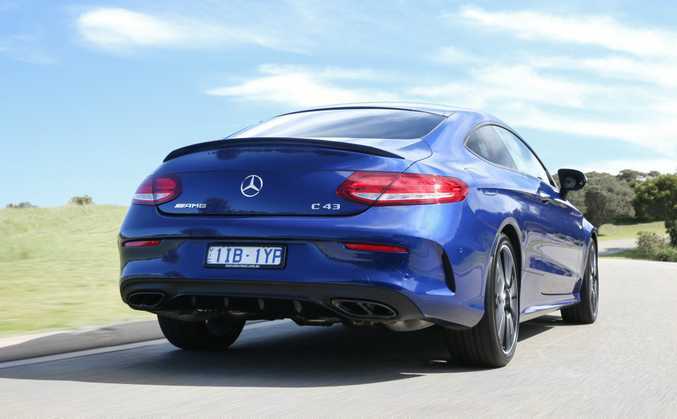 For starters its a striking thing in the metal (the current C Class shape is unquestionably pretty), and importantly, could fool most that it's the full-fat C63 S as they aren't to dissimilar in appearance, albeit the C43's a trifle tamer. Inside it's the same story. 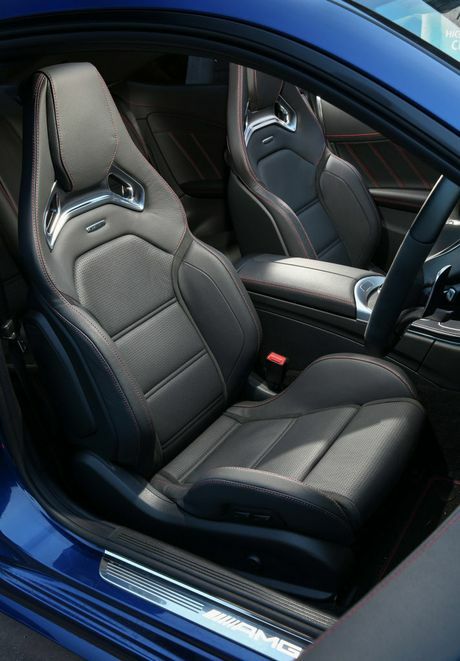 Mine came with Cranberry red leather trim as standard (I'm a sucker for sports cars with red cabins, the combo working to best effect with a black body), and really loses little to the C63 S in terms of inclusions. You score 19-inch AMG wheels, AMG ride-control sports suspension, Sports exhaust, LED lighting, Panoramic sunroof, head-up display, Burmester surround sound system, navigation and heated front seats. Safety wise you get nine airbags, semi-autonomous braking with the Collision Prevention Assist Plus feature,active lane keep, driver assistance pack, blind spot assist and a 360-degree camera. You clearly don't want for much. The cabin is, as expected, a delight. Beautiful finish, quality feel and elegant yet sporty design. Labouring through Melbourne traffic I felt perfectly cosseted, and keeping drive mode in Comfort it did a perfectly good impression of a softer normal C-Class. On rare open stretches I flicked on Sport and Sport+ modes and the AMG animal was soon shaken from its slumber. If you know the crackling, growling, popping noise of the AMG V8 (a la C63 S) there really are few more delicious exhaust aural treats out there. Does the C43 match it? Not quite, but it's bloody close and enough to send shivers when you lift off at high revs and blip down a cog or two. And it's quick. Quick enough for the roads I tested it on that's for sure, with the twin turbos offering sharp response from low revs and chunks of torque (520Nm from just 2000rpm remember). For most it's all the performance car they'd ever need, backed up by the reassurance of all-wheel-drive. What price driving thrills? 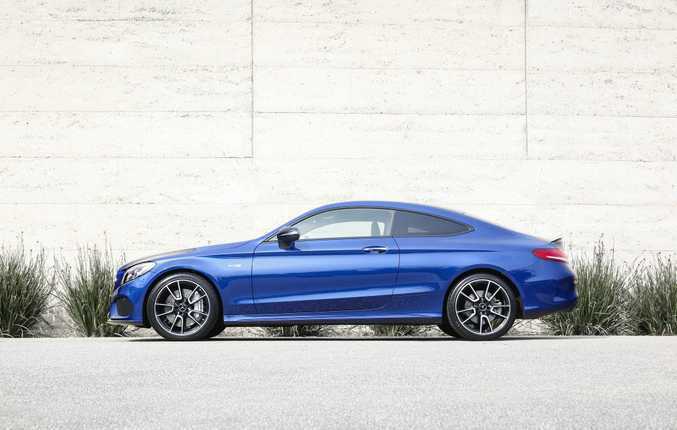 With the C43 adding to the ever-burgeoning AMG line-up you've now got even greater choice to find your perfect balance of performance v dollar spend. No bad thing at all. Model: Mercedes-AMG C 43 Sedan, Estate and Coupe. Details: Four-door sedan, five-door wagon and two-door coupe rear-wheel drive performance premium cars. Engine: 3.0-litre V6 twin-turbo petrol generating maximum power of 270kW @ 6000rpm and peak torque of 520Nm @ 2000rpm. Bottom line plus on-roads: $101,900 (Sedan); $104,400 (Estate); $105,615 (Coupe).